Click below on the picture of the map to open the free PDF file! Start the free download of the tube map PDF by clicking on the right mouse button (at touch displays long press) and select -Save Target / Link ...-. Afterward you will be able to use the file offline on your tablet or smartphone. If you want to have a printable version of the map then please click on the button further down. With that you will open a two-page version which is designed for the use with A4 printers. 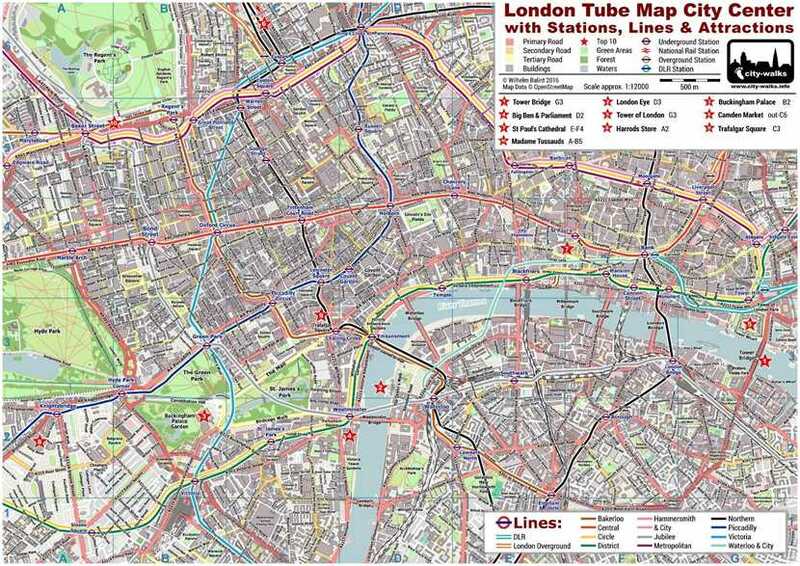 This free tube map of central London is handy and useful for your sightseeing tour. The new style from city-walks combines an underground network plan with a detailed street map. So you are able to see all the tube stations in the center with the available lines as well as nearby streets, squares and parks. In addition you will find the top 10 attractions for tourists which are marked with red stars and identified with a caption. 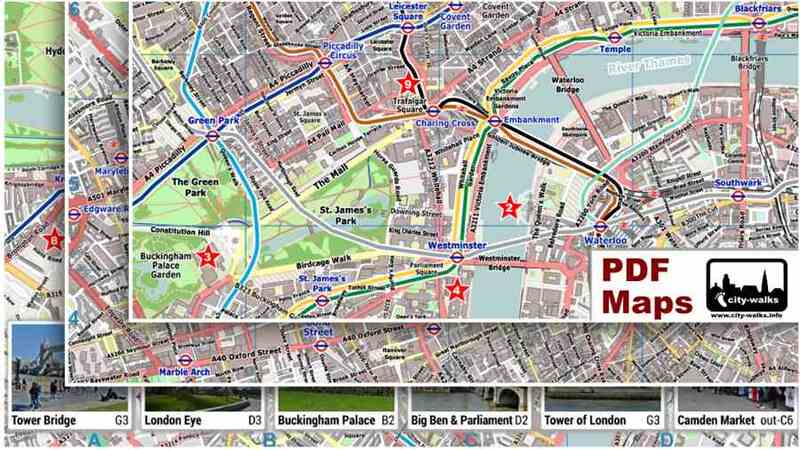 The London tube map is a PDF file and therefore excellent suited for take along. Just download or print it. For a legible printout of the 1-page version, which is shown above, you should use an A3 printer. If you only have the possibility to work with an A4 printer, like the majority, please use the A4 version for printing. Just click on the button to open the 2-page A4 version.